Here is a totally healthy recipe! Steam cooking is an Asia cooking technic; it has the advantage of limiting the destruction of vitamins, alteration of food taste and to prevent the formation of toxic compounds. 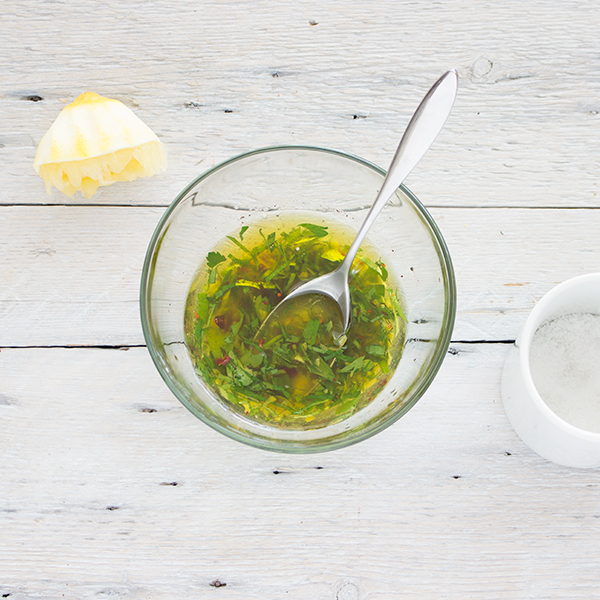 Gremolata is a chopped herb condiment classically made of lemon zest, garlic and parsley. The result of this union is delicious! 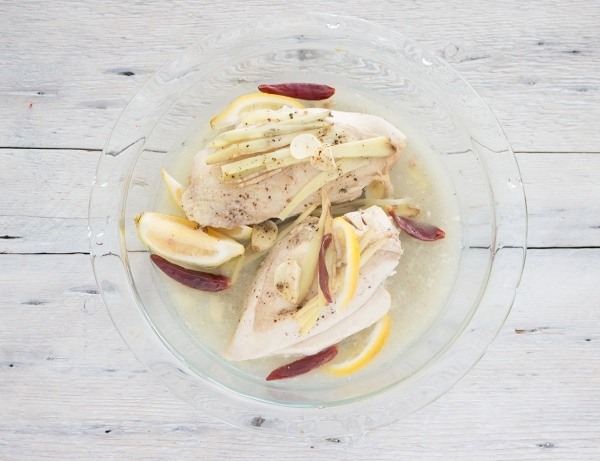 This ginger chicken can be served with salads, pasta, rice or quinoa, cold or hot. 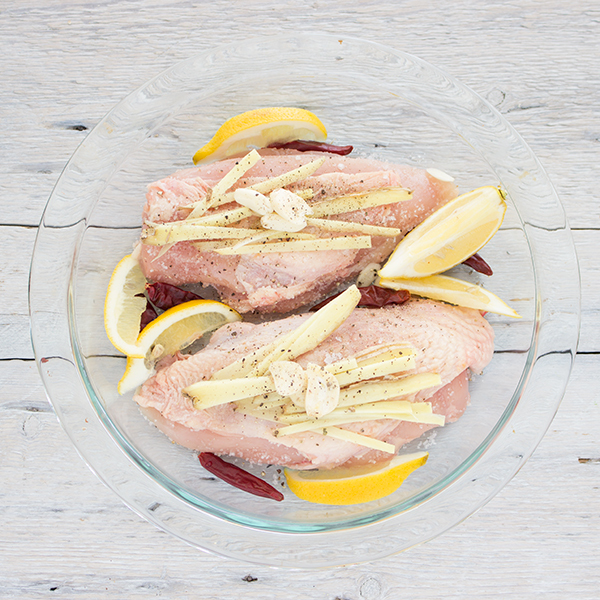 In a dish glass pie, place the chicken pieces and sprinkle with ginger julienne, sliced ​​lemon, minced garlic, dried chili peppers and salt and pepper to taste. 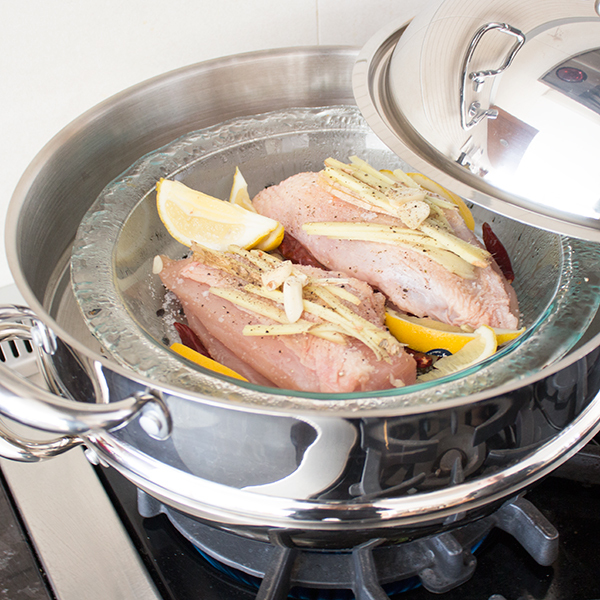 Place in the water bath, cover and cook 20 to 25 minutes, checking that there is always water in the pot. 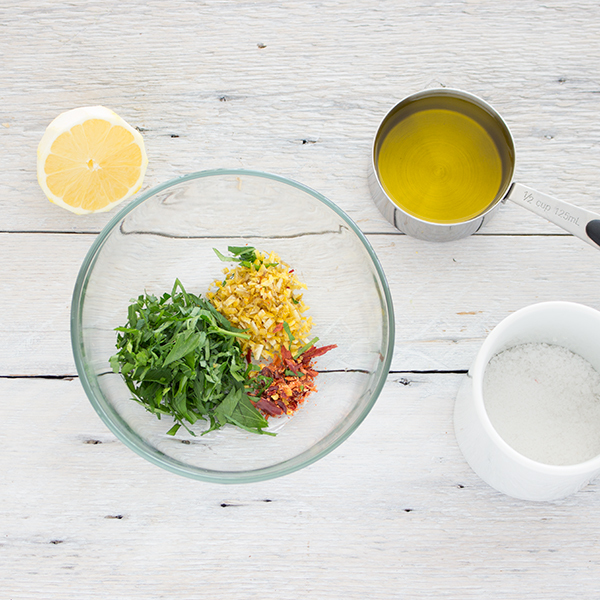 For the gremolata, put all Ingredients in a bowl, mix well, add salt and pepper to taste and set aside. Once time is up, remove the chicken from the heat. 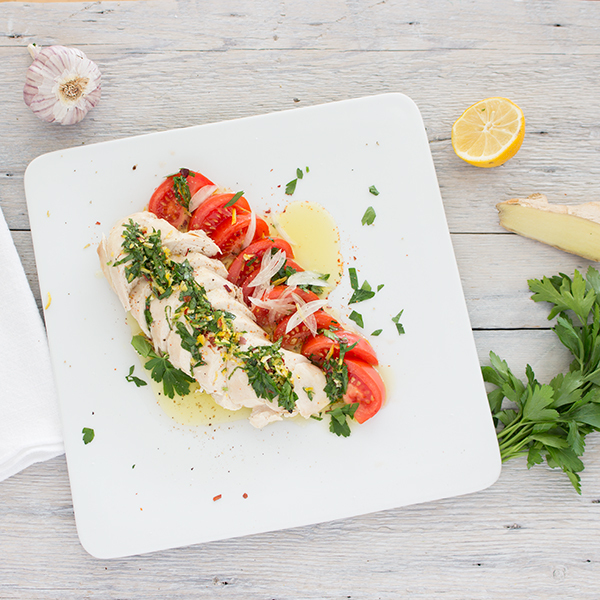 Slice chicken and tomatoes, place on a serving plate, add the gremolata, serve and enjoy! Serving suggestion Serve cold on pasta as salad, over rice or quinoa. Idea Serve cold on pasta as salade. 1 - Prepare a water bath. 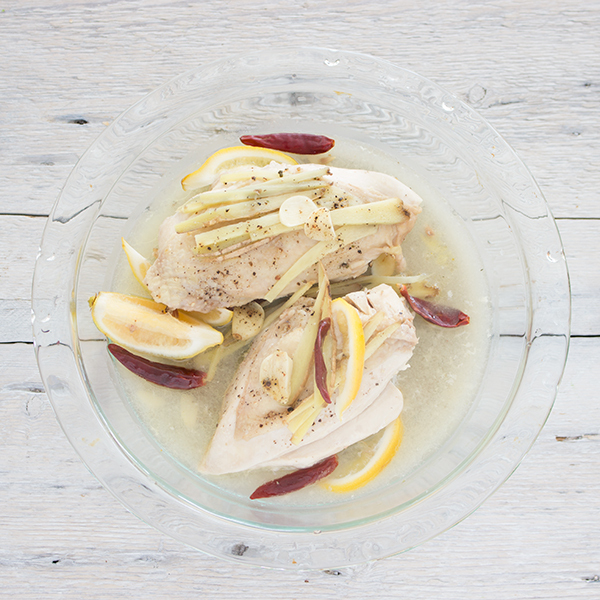 In a dish glass pie, place the chicken pieces and sprinkle with ginger julienne, sliced lemon, minced garlic, dried chili peppers and salt and pepper to taste. 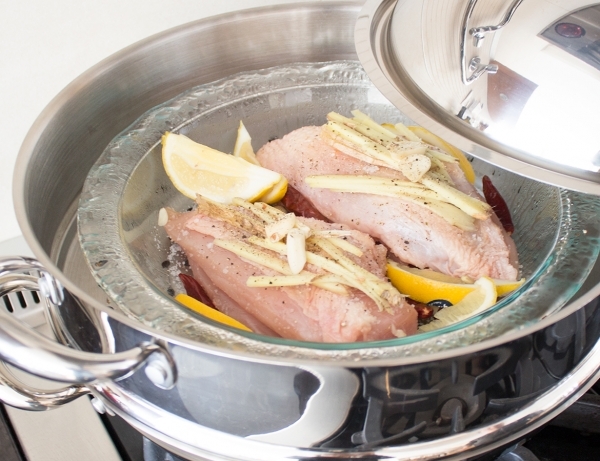 2 - Place in the water bath, cover and cook 20 to 25 minutes, checking that there is always water in the pot. 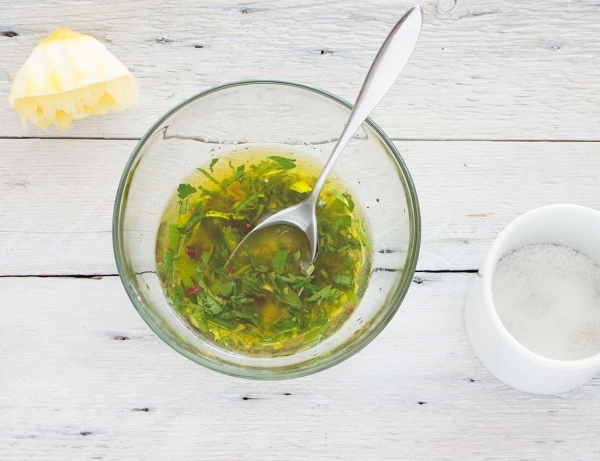 3 - For the gremolata, put all Ingredients in a bowl. 4 - Mix well, add salt and pepper to taste and set aside. 5 - Once time is up, remove the chicken from the heat. 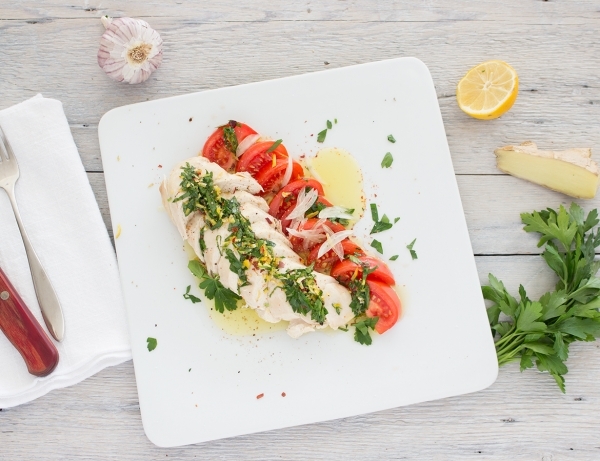 6 - Slice chicken and tomatoes, place on a serving plate, add the gremolata, serve and enjoy!